Sarah Nader - snader@shawmedia.com Richmond-Burton's Kaitlyn Suhr jumps to block a ball hit by Harvest Christian's Amanda Cassidy during Saturday's eight-team volleyball invite hosted by Hampshire High School Oct. 1, 2016. 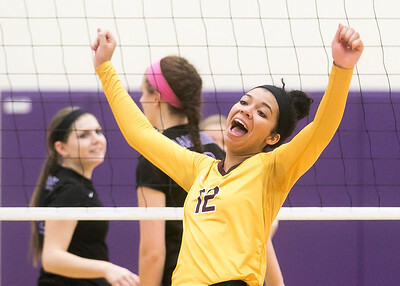 Sarah Nader - snader@shawmedia.com Richmond- Burton's Kayla Malec celebrates a win against Hampshire during Saturday's eight-team volleyball invite hosted by Hampshire High School Oct. 1, 2016. 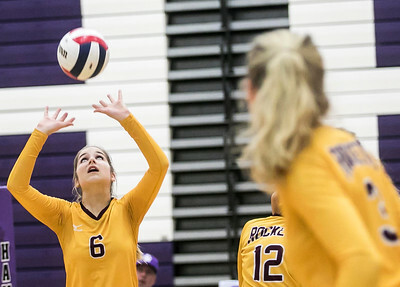 Sarah Nader - snader@shawmedia.com Hampshire's Meagan Heine sets the ball during Saturday's match against Richmond-Burton at an eight-team volleyball invite hosted by Hampshire High School Oct. 1, 2016. 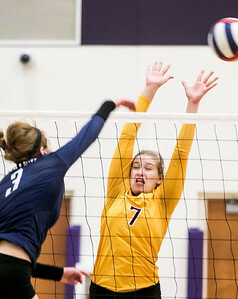 Sarah Nader - snader@shawmedia.com Hampshire's Magdeline Seagren jumps to block a ball during Saturday's match against Richmond-Burton at an eight-team volleyball invite hosted by Hampshire High School Oct. 1, 2016. 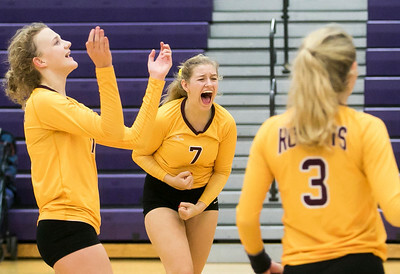 Sarah Nader - snader@shawmedia.com Richmond-Burton's Kaitlyn Suhr celebrates a win during Saturday's match against Harvest Christian Academy at an eight-team volleyball invite hosted by Hampshire High School Oct. 1, 2016. 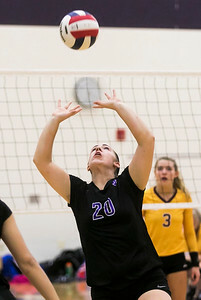 Sarah Nader - snader@shawmedia.com Richmond-Burton's Bailey Dean sets the ball during Saturday's match against Harvest Christian Academy at an eight-team volleyball invite hosted by Hampshire High School Oct. 1, 2016. 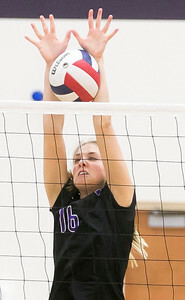 Sarah Nader - snader@shawmedia.com Richmond-Burton's Kaitlyn Suhr hits the ball over the net during Saturday's match against Harvest Christian Academy at an eight-team volleyball invite hosted by Hampshire High School Oct. 1, 2016. 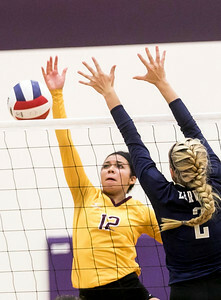 Sarah Nader - snader@shawmedia.com Richmond-Burton's Kayla Malec (left) hits the ball over the net during Saturday's match against Harvest Christian Academy at an eight-team volleyball invite hosted by Hampshire High School Oct. 1, 2016. 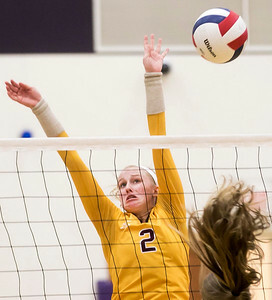 Sarah Nader - snader@shawmedia.com Richmond-Burton's Addie Halverson jumps to block a ball during Saturday's match against Harvest Christian Academy at an eight-team volleyball invite hosted by Hampshire High School Oct. 1, 2016. 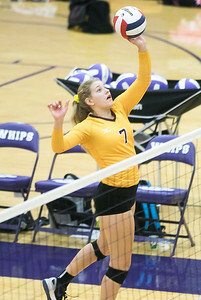 Hampshire's Meagan Heine sets the ball during Saturday's match against Richmond-Burton at an eight-team volleyball invite hosted by Hampshire High School Oct. 1, 2016.